Becky Striepe of Glue and Glitter takes on a Starbucks classic, the Pumpkin Spice Latte. How does this recipe from See Brooke Cook, the most popular PSL copycat on Pinterest, stack up to the original? You guys! It’s Munch Madness time! My friend Kristina – who also did my web design – hosts this awesome virtual cookoff every year. I’m so jazzed that she asked me to join in this time around! Basically, Munch Madness involves testing recipes that claim to be perfect knock-offs of restaurant fare. There wasn’t a ton of vegan stuff available, but Kristina and I agreed that the homemade Pumpkin Spice Latte would be a good one for me to try out. I love a PSL, even though fall is long gone. I’ve even made my own boozy version in the past. I’m not usually one for sugar syrups, but a Starbucks PSL is syrup-based, so it makes sense that this knock-off from See Brooke Cook also uses a homemade syrup. Unlike the Starbucks variety, hers uses real canned pumpkin. It also looks super easy to make a vegan version like the one I’ve ordered at Starbucks in the fall by replacing the dairy milk with soy, just like they do at the store. I followed her directions exactly for cooking and straining. The straining part ended up being a little bit fussier than I thought it would be. I didn’t have cheesecloth, and I needed to use the back of a spoon to push the mixture through my strainer. The pumpkin solids were clogging up the works, and things weren’t moving at all. A little stir and a bit of nudging got it all strained up, though. The See Brooke Cook recipe just said to add the syrup to taste. 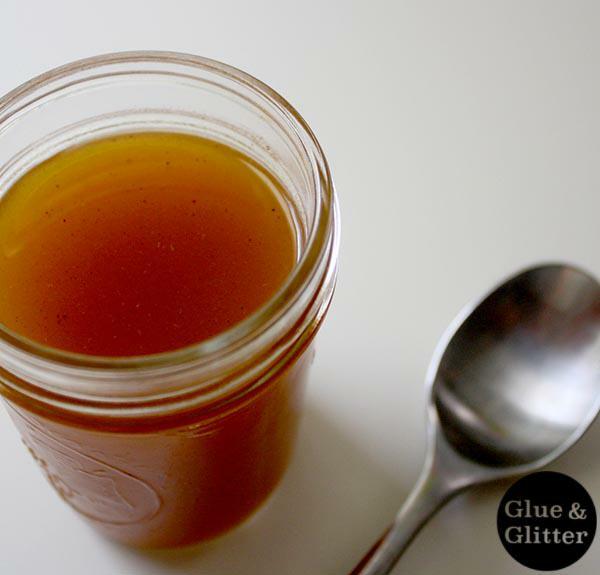 I used a tablespoon of syrup in one cup of hot coffee, then topped off the cup with my favorite soy milk. Since the whipped topping at Starbucks is vegan, I’m used to my PSLs without whip. I’d say that this homemade pumpkin spice latte tasted kind of like a Starbucks Pumpkin Spice Latte. I think it may have needed a little bit more syrup to get the full, tooth-melting level of sweet that a store-bought PSL has, and it was nice to be able to adjust it down a bit. Because cavities, y’all. The syrup also wasn’t quite as gingery as the PSL I remember from Starbucks. If I were to make this again, I’d double the amount of ground ginger, because when I think fall flavors, I think gingies. Using espresso instead of coffee might have made it taste more authentic, too. 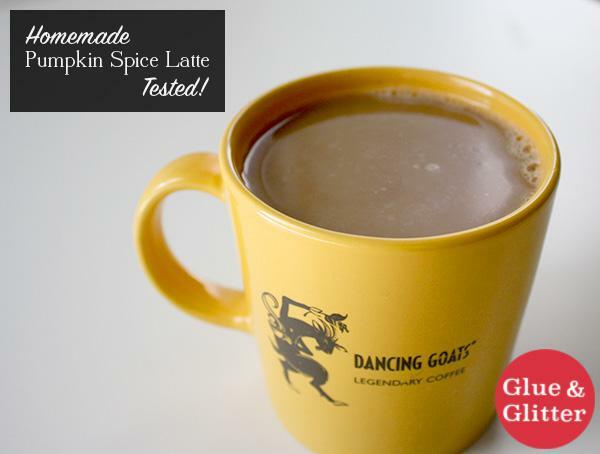 I used Dancing Goats Harar, because that’s what we were brewing the morning that I made the syrup. Dancing Goats is such good coffee, and it felt like it was competing with the syrup more than espresso or even some less good coffee would have.